Cricket enthusiasts might remember that years ago one Padmakar Shivalkar never made it to Indian team as a spinner for the sole reason that there were 4 other world class spinners in the side. After visiting Lassen, I can say that it does not make it into anyone's first list of must see places in California only because this state is overflowing with world famous destinations and national parks. I can think of at least 20 other states where Lassen would have become the prime attraction. 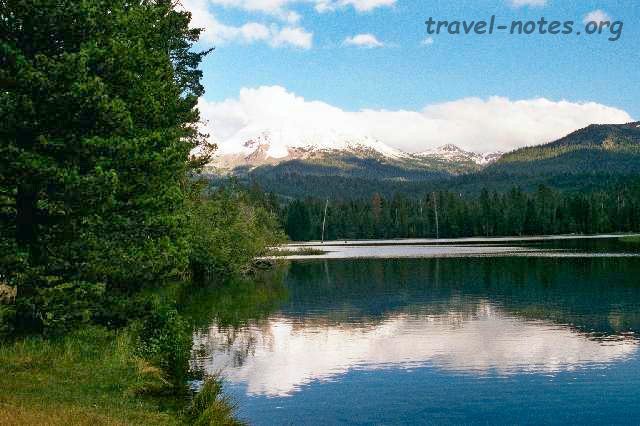 Lassen volcanic peak was created when Mt. Tehama erupted 100s of years ago. It is about 2 to 3 hrs east of Bumpass Hell Trail. It is a 1.5 mile long (each way) trail taking you to a boardwalk around many mud-pots, hot springs, steam vents etc. (For the non-hikers, some of these could be seen next to the main road itself in a place called Sulphur Works - reminded me of Chemistry labs and torn lab coats) If you find yourself hiking this far from your car, consider going 2 more miles which would take you down the mountain to couple of pretty lakes. The view from the top, especially those of the lakes, were amazing even on a cold damp day - a day when the only respite from a snow storm was a blizzard and only respite from a blizzard was a hail storm. And in case you continue a mile more, you would end up at a water fall close to a car park miles below the spot you would have started. I personally liked the hike through the snow and I really enjoyed some views of snow covered trees and peaks which I wouldn't have got if everything had gone according to plan. The other recommended trails include a trail to Cinder Cone, a bare treeless conical mountain, via some coloured dunes. By the fag end of the tour we spotted a strange bright object lurking over our head. On asking around we came to know that it was called the 'sun' and it actually helped us get some good views of the elusive Lassen peak and its much acclaimed reflection on the Manzanita Lake. 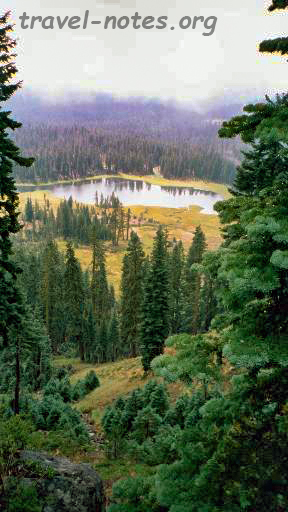 Of the places around Lassen, a good destination would be Mt. Shasta. Although climbing the 14k volcano may not be suitable for a 'weekend warrior' like me, climbing one of the nearby peak certainly would be. Of the options available, I would recommend a half a day hike up the Black-Butte, a 6k ft high hillock, from where you can get fantastic views of the Mt. Shasta. 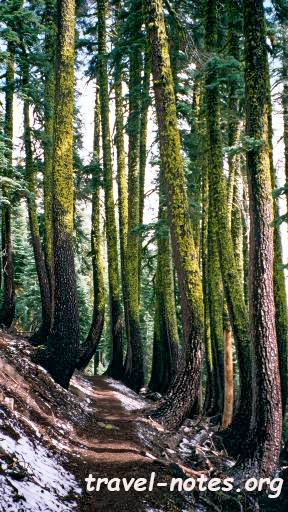 In short, if you have already put a couple of trips to California and are thinking if it is worth coming here again, think 'Lassen'. Click here for more photos from Lassen.